Monday morning we work up to another cold day here on the west coast. Now that can’t compare with a lot of places in Canada that are seeing all-time lows of -41 but for us in our temperate climate when it reaches the freezing point… it’s cold! Rob said… let’s go south. I agreed and the quest was on. Looking at the temperature of our favourite places we finally decided on San Juan De Cabo as it was the warmest. Also… our dollar goes farther. So I looked up some flights and decided to go with Delta through Seattle instead of WestJet like we did last time. The WestJet flight goes through Calgary and with the cold weather we were afraid there might be a delay. 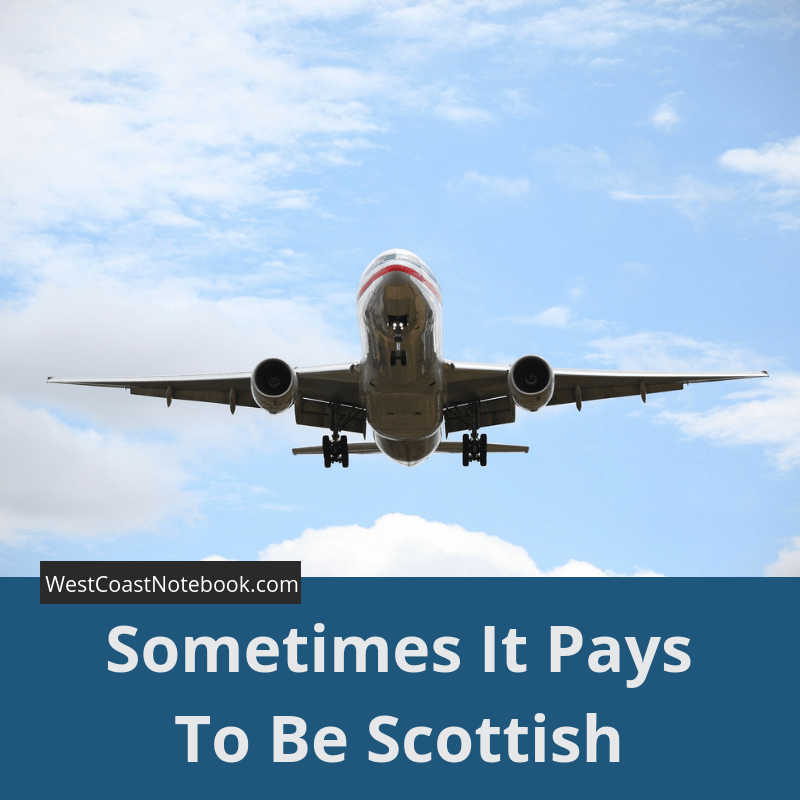 Rob being Scottish is always up for a deal so we buy the cheapest plane fare we can get in the shortest flying time with the least stops. For these types of tickets, there is no refunds or rescheduling, you can’t pick your seats, no preboarding, little chance of getting overhead storage and you’re the last ones on the plane. But… as it’s Monday and we are leaving on Thursday (best fare) we weren’t planning on cancelling. My eyes were sore by Tuesday night but I figured that was dues to trying to get things finished for a project I was working on and spending a lot of time on the computer. Wednesday morning I woke with the red swollen eyes and dare I say PINK EYE!! I won’t go into all the detail but anyone that has had it knows what I’m going through. Update: The drops are helping and it’s way better today than yesterday. We had to leave the house by 3:45 AM to get to the plane and a friend of ours agreed to get up at the ungodly hour and drive us there. I’m glad we were a little early as we did things a little different this time. I had already checked in online but we still had to get seats so we went up to the counter before we went through security. We got our seats numbers and headed to follow the long lineup of people waiting to take off all their jewelry, belts and metal object. have their bags x-rayed and their computers swabbed for unknown substances. The lineup time was saying it would be 10-15 minutes but I think they were a little optimistic. It took us about a half hour to go through and with no time to stop for a coffee or water we headed upstairs to see when the flight boarded. Not only that, but we walked up, they took one look at our tickets and passed us on through. Now, this was only amazing because there were a lot of people standing around waiting to go on and as I walked down the hall I heard them do the last call for rows 1 through 15 and lo and behold… we were in row 13. They had upgraded us to what the called the comfortable seats. Lots more leg room, preboarding and we were able to get overhead storage right above our seats. After a 20 minute flight, we got off in Seattle, went through customs and then you go through security again. We had a 3 hours stopover there, but it was worth it as it took quite a bit of time to get through the checkpoint as there appeared to be only one man on duty. Macdonalds was the breakfast of choice and I wish I could have taken a picture of Rob as after he finished his egg McMuffin he pulled out the pillows (in case you didn’t know he travels with 2 full-size pillows) and proceeded to stretch out on the bench seat and have a nap. It was finally time to go and we headed to the gate as we needed to check in and of course… get our seat numbers. As we presented our passports and got our seats we asked when they would be boarding. She said soon and we turned around to walk away… and lo and behold our seats were being called to board. Preboard in fact in front of everyone except first class as they had upgraded us to business class. No nosebleed seats for us this trip. Business class is really nice. They give you all sorts of snacks and non-alcoholic drinks as perks almost as soon as you are seated. As well as a monitor with headsets for TV, movies, games, and music. Kept me amused when I wasn’t sleeping. Arriving in Mexico there was still the long lineup to go through customs. I’m not kidding… it took about an hour to get up to the front where they take a quick look at your passport and wave you on through. Knowing what we knew from our last visit, we skillfully avoided the used car like salespeople who were trying to sell you anything you would buy, made it through the next room of taxi drivers selling who knows what and found the rental car shuttle we wanted to use. We had the same fellow who booked us last time who gave us a really good deal this time as we came back and were staying longer. Doing a walk around of the car I pointed out a scratch and the fellow that was inspecting it with us showed me a card of what they consider to be damaged. For a dented or scratch to count it had to be at least the size of a man’s thumbnail. I was amazed but he just looked at me and said… “This is Mexico”. Heading off down the road to our hotel which was about 15 minutes from the airport, we stopped at Walmart and got the essentials like water and a cooler for the beer and found that our hotel was in the next block. The hotel is clean and neat and involves a whole lot of stairs. And as we found on our first trip is that you can’t do anything here by yourself and there are a lot of tips involved. Someone has to show you to your room and bring up your luggage. If you attempt to bring it up yourselves they will just follow behind you all the way to your room and open the door. Like tonight… Rob was in bed and cold (just a very thin blanket on the bed) so I went down to the desk and asked for a couple of extra blankets. But… I couldn’t take them up myself. Someone had to bring them to me in our room. I explained that Rob was asleep, but that made no difference. A tip is a tip! Getting all our luggage up to the room was probably the most interesting part of the day. This hotel is built over a strip mall and runs probably for 1/2 a block or more above the shops. So the lobby is at one end and we are at the other. But… being on the 3rd floor not only are there stairs in the oddest places to navigate but also there are ramps that go up and down the outside walking corridors. So, you will go up a flight of stairs, down a hall, up a ramp, down the hall, down a ramp and up some more stairs for about the length of the building. Nice to get the exercise after sitting on the plane, but I don’t think I would want to do it every day. Heading outside the hotel we decided to see if there was someplace to walk to have dinner. Daring 3 lanes of traffic we made it to the other side of the street and the first place we saw said “Shusi”. After braving the traffic we figured what the heck. Why not have Japanese cuisine of raw fish at a Mexican restaurant. The menu was in Spanish, no one spoke English but we ended up with some pretty tasty items all the same. So far… our digestive systems are operating on par. Now, it’s 10 pm at home and 11 pm here an I might just send off this post without proofreading it first. Rob is asleep, my eyes are closing and a grand adventure awaits us tomorrow.